The Hotel features a 24-hour reception desk and several lifts. In addition, there is a small supermarket, jewellery, boutique, silver store, leather shop, photo shop, internet cafe, currency exchange, several bars, TV room, conference room and games room(billiards, atary, internet etc.). 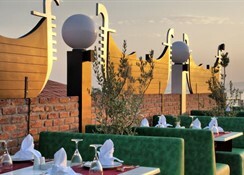 The air-conditioned A la Carte Restaurant has highchairs for infants and offers an open-air terrace with panoramic views over the surrounding area. 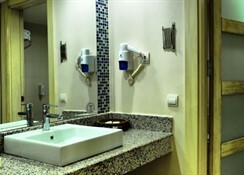 Guests may also take advantage of the laundry, room and doctor - medical services for which an additional fee applies.All comfortably furnished rooms have split air condition, minibar, safe box(payable locally), carpet floor, Bath/WC, hairdryer, direct telephone, satellite TV, music channel, Balcony. (some facilities and services are subject to a local charge). 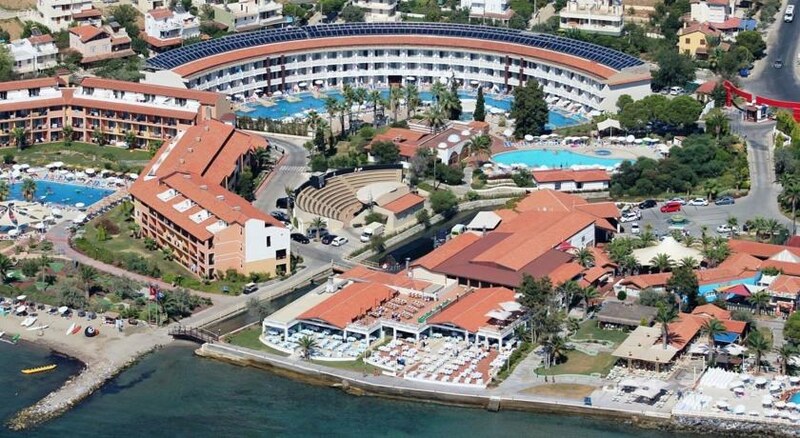 The four star Ephesia Hotel is set in large gardens, located directly on the longest beach of Turkey, in the midst of extraordinary natural surroundings, where one would never get tired of watching the sunset. Ephesus is the best-preserved classical city on the Mediterranean and perhaps the best place in the world to get the feeling for what life was like in Roman times. 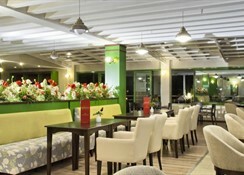 The Ephesia Hotel is located 7km from the centre of Kusadasi. 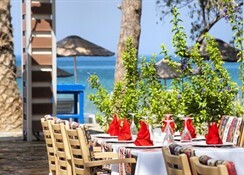 It is 70km from Izmir Adnan Menderes Airport and 125km from Bodrum Airport. Regular excursions operate to many historical sites nearby such as Ephesus Antique City and Theatre and the Temple of Artemis. 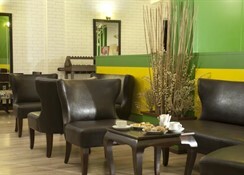 This comfortable hotel is located 15 minutes drive from the city centre right on the beautiful private beach.